Their children look very cute in Halloween costumes. 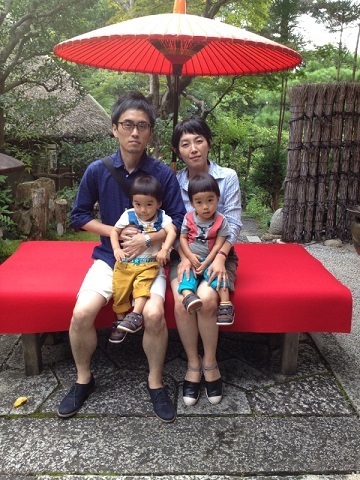 A couple who had got married six years ago with our service visited Saami ryoutei restaurant with their children. I was so happy to see them again! They kindly sent me some pictures as well. They are such a great family. It is one of our biggest pleasure, as a planner, to see the client couples again after long years from the wedding. I am so pleased that I could support their wedding. I am looking forward to seeing them again at “Saami (ryoutei restaurant)”.